Vancouver, B.C. – July, 2016 – Global Daily Fantasy Sports Inc. (TSXV:DFS) (the “Company”) wishes to announce a strategic relationship with NYX Gaming Group Limited (“NYX”) (TSXV:NYX) and that it intends to complete an additional private placement for up to $6 million. 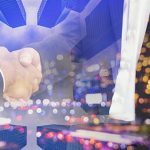 The Company has entered into a definitive agreement with NYX Digital Gaming (USA) LLC, a wholly-owned subsidiary of NYX (the “NYX Agreement”), for the establishment of a strategic relationship for the distribution of the Company’s B2B daily fantasy sports platform product (the “DFS Product”) on NYX’s Open Gaming System platform (“OGS Platform”) and OGS distribution network (the “OGS Network”) to NYX clients world wide. • The term of the NYX Agreement is five years from the date of first commercial use, which initial term may be renewed by the Company on written notice to NYX for an additional five year period subject to certain conditions being met. NYX is a leading digital gaming provider headquartered in Las Vegas, USA, with a staff of more than 1,100 employees based in 14 countries across Europe, North America, Asia, New Zealand and Australia. 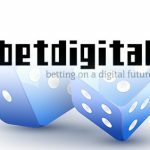 The Company provides one of the world’s largest portfolios of leading content and technology to some of the foremost gaming operators, lotteries and casinos across the globe. 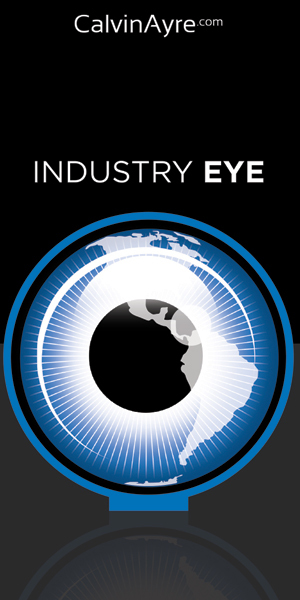 NYX also has one of the broadest distribution bases in the industry with over 200 unique customers and the widest portfolio of content available from their own global studios and broad partner network. The diversified game catalogue delivers content across web and mobile formats, focusing on bingo, casino, lottery and sportsbook verticals. NYX’s OGS was recently named 2016 Platform of the Year in acknowledgement of its position as the industry’s market-leading gaming offering, which allows licensees to leverage the best-of-breed multi-vendor content from around the world. NYX is trusted by some of the world’s most successful operators worldwide including Bet365, William Hill, Ladbrokes, Paddy Power, Betfair, SkyBet and Coral. These clients have databases ranging up to 35 million on-line players. The DFS industry was created to provide instant gratification to a small group of fantasy sports enthusiasts. The industry has since transitioned from an idea into mainstream culture, and a billion dollar business with millions of active participants. To date this explosion in growth has occurred through consumer facing platforms. While DFS has existed in Europe with legal clarity since the middle of 2014 it has followed the same consumer facing model as North America. DraftKings, Oulala, MondoGoal, Fanteam, Fanaments and PlayOn currently all have a presence in Europe and are jockeying for position to achieve a level of player liquidity that supports the market. 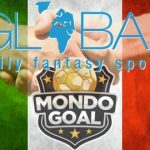 Global Daily Fantasy Sports Inc. hopes to disrupt the competitive landscape by being the first true fantasy platform that was built for both regulated markets and exclusively as a B2B network. The Company will offer flexible avenues for gaming operators to enter the DFS space by allowing them to both protect and expand their audience with a simple integration of both player database and existing online wallets. The Company also wishes to announce that it intends to complete a non-brokered “part and parcel” financing to raise up to $6,000,000 by the issuance of up to 15,000,000 units at a price of $0.40 per unit. Each unit will consist of one share and one-half of a share purchase warrant. Each whole warrant will entitle the holder to purchase one additional common share at an exercise price of $0.75 during the first year following the closing date of the private placement (the “Closing Date”) and an exercise price of $1.00 during the second year following the Closing Date. The Company may pay finder’s fees at rates to be negotiated in connection with this financing. Closing of the private placement is subject to TSXV acceptance. All shares and warrants forming part of the units will be subject to a hold period of 4 months from the closing date. Proceeds from the offering will be used towards further development & marketing of the DFS Product along with additional working capital. The Company has submitted its application for acceptance to its previously announced Change of Business, to the TSXV and is working through the regulatory process. The Company has received subscriptions for its previously announced $2,000,000 financing (20,000,000 units at $0.10 per unit) and has closed this financing in escrow (other than certain DAP subscriptions), pending completion of the Change of Business. The Company has also changed its name to Global Daily Fantasy Sports Inc. 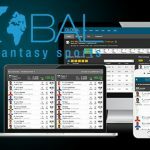 Global Daily Fantasy Sports Inc. (TSXV: DFS) is a multi-tenant gateway that allows operators to offer their customers a world class Daily Fantasy Sports software solution. The platform is mobile and desktop enabled and allows for seamless integration at the operator level without having to share or compromise any sensitive customer data. Joining the Company’s network allows operators to capitalize on a mature infrastructure, with shared liquidity, that was built specifically for regulated market environments. As the first true B2B global network, the Company is a SaaS (software as a service) product that offers a turn-key solution for sportsbook operators, land-based operators, media groups, and big database companies to participate in the daily fantasy sports industry. For more information on Global Daily Fantasy Sports Inc. visit our corporate website: www.GDFSI.com. Completion of the foregoing transactions is subject to a number of conditions, including the acceptance of the TSXV. The transactions cannot close until the foregoing conditions are satisfied. There can be no assurance that the transactions will be completed as proposed or at all. 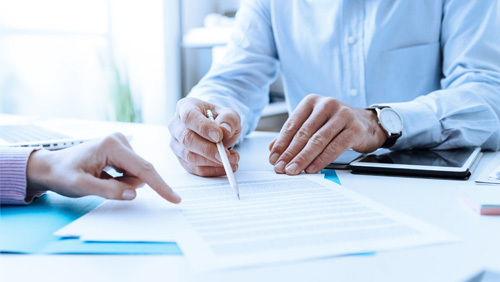 Investors are cautioned that, except as disclosed in the Filing Statement to be prepared by the Company in connection with the foregoing transactions, any information released or received with respect to the transactions may not be accurate or complete and should not be relied upon. Trading in the securities of the Company should be considered highly speculative. 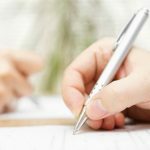 Certain information set forth in this news release contains forward-looking statements or information (“forward-looking statements”), including details about the proposed transactions. By their nature, forward-looking statements are subject to numerous risks and uncertainties, some of which are beyond the Company’s control, including the impact of general economic conditions, industry conditions, volatility of commodity prices, currency fluctuations, environmental risks, operational risks, competition from other industry participants, stock market volatility, the risks that the parties will not proceed with the proposed transactions, that the ultimate terms of the proposed transaction will differ from those that currently are contemplated and the ability to access sufficient capital from internal and external sources. Although the Company believes that the expectations in its forward-looking statements are reasonable, its forward-looking statements have been based on factors and assumptions concerning future events which may prove to be inaccurate. Those factors and assumptions are based upon currently available information. Such statements are subject to known and unknown risks, uncertainties and other factors that could influence actual results or events and cause actual results or events to differ materially from those stated, anticipated or implied in the forward-looking statements. Accordingly, readers are cautioned not to place undue reliance on the forward-looking statements, as no assurance can be provided as to future results, levels of activity or achievements. Risks, uncertainties, material assumptions and other factors that could affect actual results are discussed in our public disclosure documents available at www.sedar.com. Furthermore, the forward-looking statements contained in this document are made as of the date of this document and, except as required by applicable law, the Company does not undertake any obligation to publicly update or to revise any of the included forward-looking statements, whether as a result of new information, future events or otherwise. The forward-looking statements contained in this document are expressly qualified by this cautionary statement.